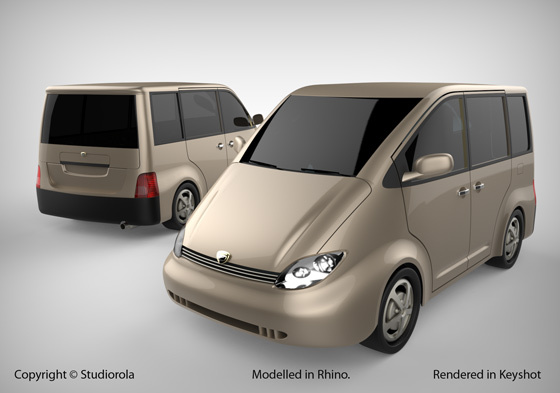 The Van design is modelled in Rhinoceros 5.0 using NURBS surfacing techniques. Care was taken to ensure credible surface continuity across most adjacent surfaces. The rendering was done using Keyshot. 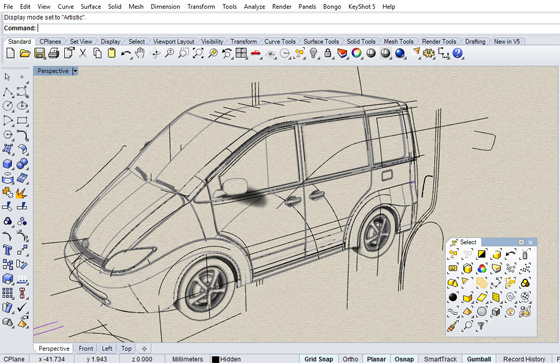 Below is a screenshot of the file within Rhino3D environment. The author is an Authorised Rhinoceros Instructor. Click here for more info on Rhinoceros 3D NURBS Surfacing Course.